What should I do before using my winch? Once you have the winch mounted on a secure plate and everything is installed and connected properly. You should remove the clutch lever and check to be sure the grease level is in tact. If you can see the grease, it is ok.
How often should I check the gear grease? We recommend you check the gear grease every 90 days. If you are using this winch as a daily business recovery model. We recommend you check the grease every 30 days. How do I check/add gear grease? This is very simple. Remove the clutch lever to view. If you can see the grease built up, it is ok. If it appears to not have enough grease, we recommend you use a heavy tube grease and squirt into the hole. Can I attach the roller fairlead directly to the winch? No, you should attach the fairlead to a winch plate. Attaching directly to the winch can damage the winch if it gets in a bound position. How do I reel the cable in? Move clutch lever to the In Engage position to reel cable in. How do I reel the cable out? Move clutch lever to the Out Dis-engage position to reel cable Out. Freespool is a feature that allows you to pull the cable out and spin freely off the drum to the desired position without having to winch out with the remote. Simply move the clutch lever to the center/neutral position. Test with the remote to assure the cable is disengaged. Then carefully with protective gear pull the cable to the desired position. What if the cable will not freespool? First be sure it is disengaged. If it is disengaged and still will not move, make sure the cable is not bound up on the gaurd bars accross the top of the winch. If so, you may need to use the remote to unbound. Be sure to spread cable evenly on the drum when reeling back in. This can be dangerous if done improperly. Please be careful. What if the Clutch Lever is not in-engaging or out disengaging back into place? This is common with winches, you can without using remotes, adjust the drum back and forth while moving the lever. It should slip into place. How far can I extend the cable off the drum? You should always leave a minimum of 8 wraps on the drum. If you need more length, we recommend adding cable or heavy duty strapping to the end of the cable. What if I am getting Sparks when I connect the battery? Be sure the positive and negative cables are connected in the correct positions. If you are getting sparks, this is usually caused by incorrect wiring. This is very dagerous and can cause fire and/or cable to melt. What if my winch is not going in or out? If the winch is not doing anything, you should first check your wiring. On 9000lb to 12000lb Standard winches, be sure in addition to the large cables coming from the solenoid box, you also have a small thin wire. That thin wire should be connected to the ground nut on the bottom of the winch. This is also where the battery ground will be connected. What if my winch will go in and not out or out and not in? First be sure it is engaged properly. If it is engaged in the proper position and nothing is happening, listen for a clicking sound. If you hear a clicking and everything is positioned and connected correctly. You need a solenoid. How far should the wireless remote work from the winch? According to the manufacture specs it should work approx 30 feet from the base. We have seen instances where it worked up to 90 feet from the base. What is the gauge of the main cables coming from the solenoid box and battery? On our larger winch units 8000lb to 16000lb winches, the gauge is approx. 2 gauge. Should I cover my winch? Covering your winch will help. This will help prevent rusting. We do recommend you keep your solenoid system dry. Water can damage/short the solenoid system. For removable solenoid systems, you may choose to place in a dryer/more secure location for protection. Should I check my bolts and screws? 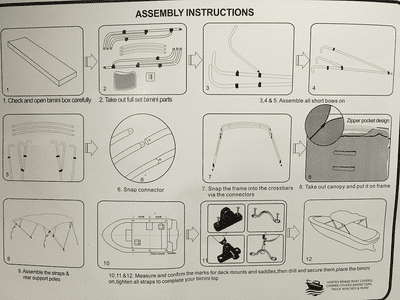 Yes, we recommend before each pull you check to assure all bolts and screws are secure and tight. It can be very dangerous to operate your winch if your bolts and screws are not secure. How should I protect myself when using winch? We always recommend using protective gear such as leather gloves and goggles. We also recommend positioning yourself so if something happens to release or break loose, you will be out of the "firing range" so to speak. Always keep your hands and clothing clear of the winch when in operation. Can my winch be used as a hoist? It is not recommended for vertical lifting. Recovery winches should be used for horizontal pulls. What if I hear the motor spinning but no action? Make sure the clutch lever is in the proper position. If problem persist, view the drum and see if it is turning. If the drum is turning, the cable could be detached from the drum where it mounts. If you have checked these and still have a problem, you made need to contact our technical support. What if my winch is screaching, grinding or noisy? If this is happening, you need to grease the gears. Simply remove the clutch lever and add a heavy tube grease through the clutch lever hole. What if my wireless remote is working intermitently? If your wireless remote is working intermitently and your corded remote is working fine. You need to make sure your battery has a full charge. The wireless remote system requires a fully charged battery to operate properly. 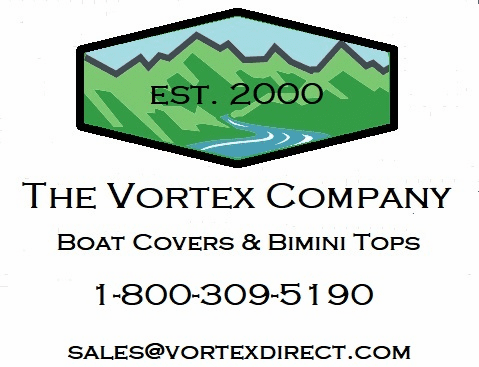 Thank you for choosing Vortex Direct where we offer superior products and superior customer service.